Your hands are important, we get it. 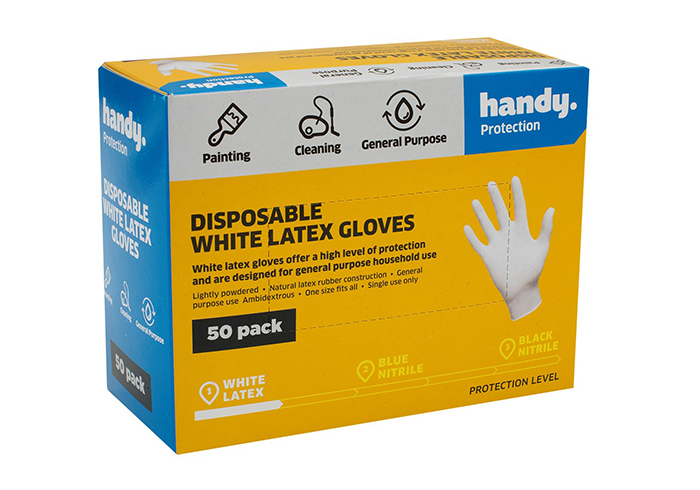 No matter the industry, our range of Handy Protection gloves will service your needs, from commercial grade Nitrile for increased chemical protection, to Latex rubber gloves to meet your everyday, food prep/cleaning needs. 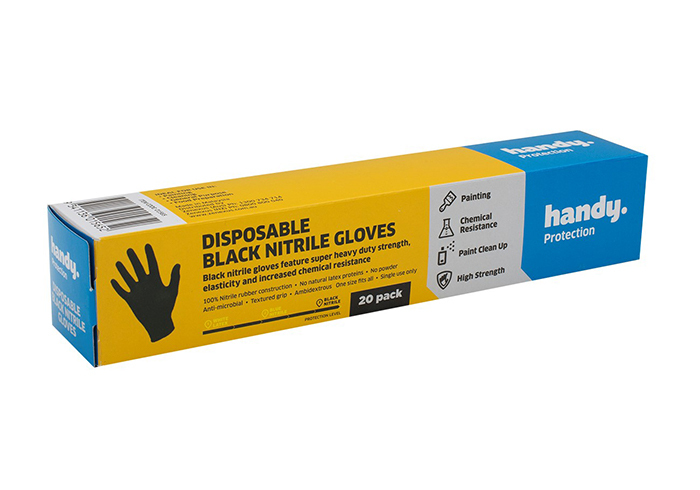 Black nitrile gloves feature super heavy duty strength, elasticity and increased chemical resistance. Ideal for use in painting, cleaning, general purpose and food preparation. 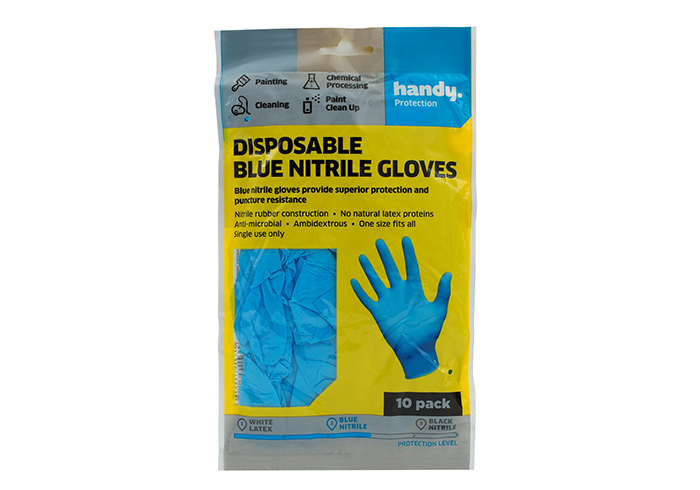 Blue nitrile gloves provide superior protection and puncture resistance. For use with solvents and other chemicals or for those who are exposed to harmful chemical agents or patheogens. Highly flexible, excellent grip on wet and dry surfaces, sanitised to retard the growth of bacteria, mould and mildew. Chemically toughened to out-perform natural rubber gloves in most solvents.